Oliver Knight was due to have a hysterectomy—where the womb and cervix are removed—on August 30 2017 at St Joseph Hospital in Eureka, California. However, Knight said that the operation was cancelled “minutes before” the scheduled time. He was allegedly told that they would not be rescheduling the surgery because it was a Catholic hospital. 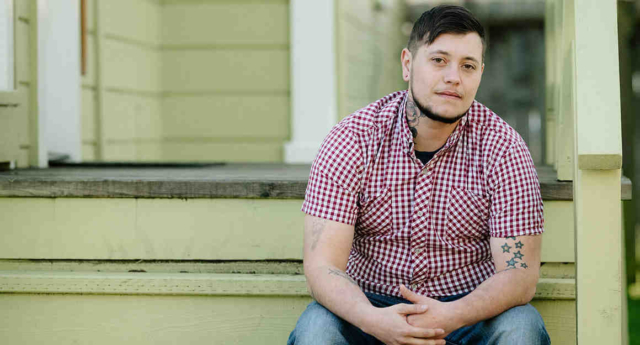 The American Civil Liberties Union (ACLU) in California today filed a lawsuit with law firm Rukin Hyland & Riggin LLP against St Joseph Health for denying care to a transgender patient. Knight, who is now 29 years old, said he has had to deal with “a lot of anti-trans bigotry” in his life – but that he did not expect that treatment from a hospital. Knight also wrote a blog post for the ACLU in which he explained that he felt “hopeful” when he arrived at St Joseph Hospital on August 30 2017, but that his hopes were quickly dashed. In the blog, Knight said that he was waiting for an hour before the surgeon came in and announced that the surgery would not be going ahead due to the hospital’s Catholic ethos. According to the ACLU, Knight did not want to have to travel for the surgery as it would increase the burden on him and his family. However, after his surgery was cancelled at St Joseph Hospital in Eureka, he went on to have the procedure at Mad River Community Hospital in Arcata. PinkNews contacted St Joseph Hospital in Eureka, California, for comment, but no response had been received at the time of publishing.